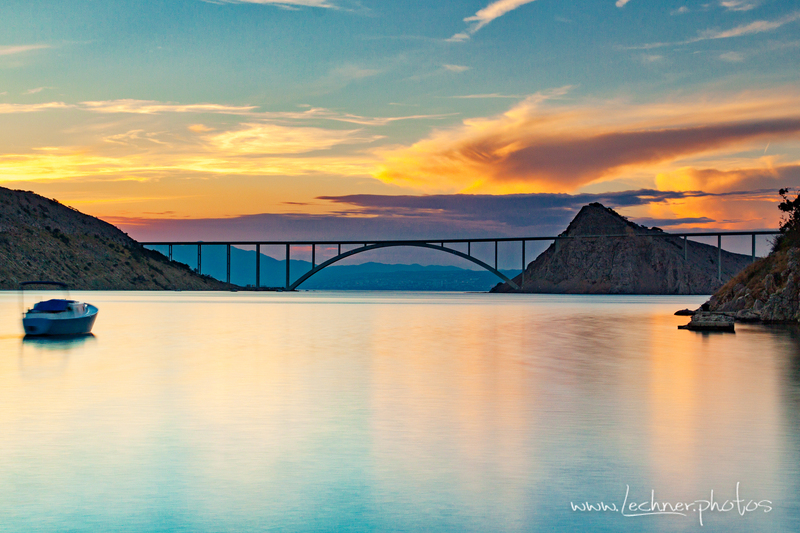 You have a great view at the almost 1500m long toll bridge to the island of Krk. Get off the road 102 towards the bridge before the toll booth and follow the road down towards village of Voz. You can park beside the ocean.